Th-INK-ing of You: Welcome to the ODBD December Release!!! Welcome to the ODBD December Release!!! Hello friends! Can you believe it's Dec. 1? I seriously cannot!!! 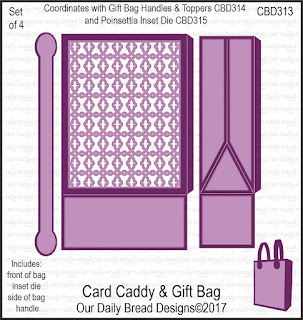 Well... with the first of every month comes some exciting new goodies from Our Daily Bread Designs! If you have a few more cards to make and especially if you have some small gifts worthy of a very special hand made gift bag... you don't want to miss this one! The design team has been having a blast making all sorts of gift bags and sets. As with all our releases, there are prizes! 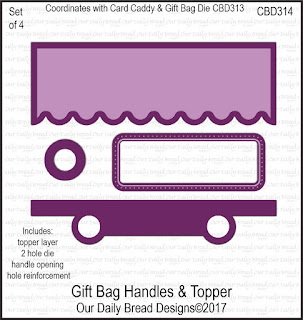 For the gift bag above, I used the new Card Caddy & Gift Bag dies, as well as Gift Bag Handles & Topper dies. For the sentiment, I used the cut out piece from one of the handles, and a Double Stitched Rectangles die. 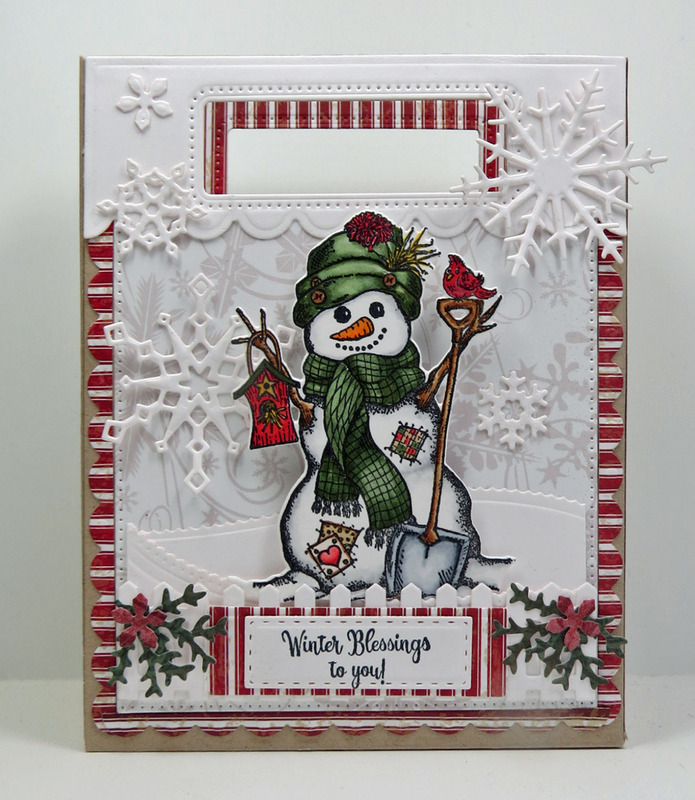 I used the new stamp/die duo set, the White As Snow Stamp/Die Duo and the matching snowman die. LOVE this set! I also used the following past released items: Leafy Edged Borders Die, Snow Crystals dies, Fence, Bitty Borders, and Lovely Leaves dies. I created the bag itself with craft paper and I love the craft/white/red combo. The image is colored with Copics and then with Wink of Stella for some sparkle. The paper is from the Christmas Paper Collection 2013. 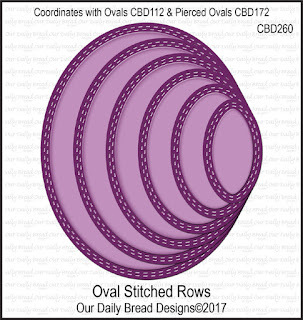 For the card below I used the new Noel Ornaments stamp, colored with Copics, then cut with the new Oval Stitched Rows dies. I used the Pierced Rectangles dies to cut the green layer, and the Merry Christmas Dies to cut the words from red and gold mirrored card stock. The Leafy Edged Borders were used to cut the red border, and the flowers and leaves were cut with the Peaceful Poinsettia, Pine Branches, and Lovely Leaves dies. 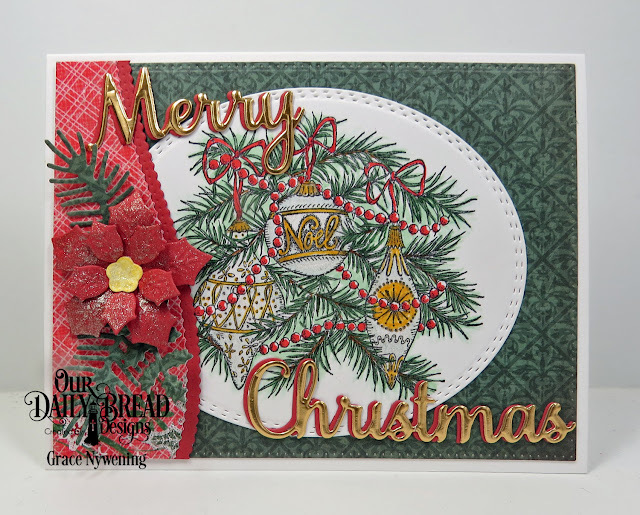 The paper is from the Holly Jolly Paper Collection and Christmas Paper Collection 2013. The image was colored with Copics, then Wink of Stella Clear glitter pen. In person there is a glimmer but it was hard to capture in the photo. Thank you so much for stopping by today! Be sure to check out my DT sisters for more inspiration and so you will be eligible for one of the prizes! Your cards are gorgeous, Grace. 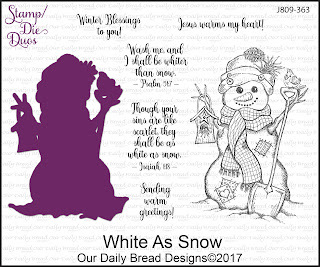 I especially love the wonderfully colored snowman and the big white snowflakes. Beautiful cards, love that Snowman. Your gift bag and card are both so very nicely done. So very festive. Hope you have a great weekend! Hello little snowman! Both creations are adorable. Your snowman bag is fabulous! The snowman is the best one I think I have ever seen. Awesome projects! Love that cute snowman! Fabulous samples, Grace! Love the bag!! Cute snowman gift bag and lovely card. Gorgeous projects, Grace! I love the cut out handle design of the bag plus it's decorated perfectly! Beautiful ornament card too!! HUGS! What stunning creations, Grace!! I so love the bag you created with the snowman. What gorgeous coloring and a beautiful design!! 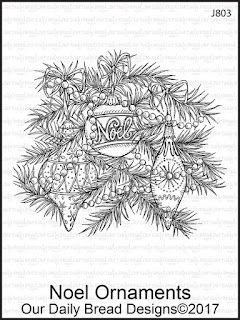 Your coloring of the noel ornaments paired with the poinsettia on the card is gorgeous as well! !